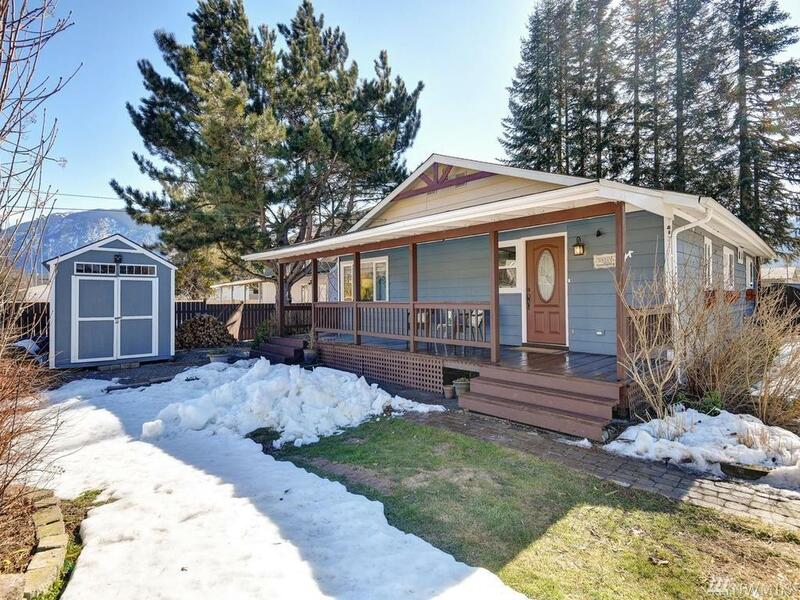 Fantastic opportunity to enjoy downtown Snoqualmie living! 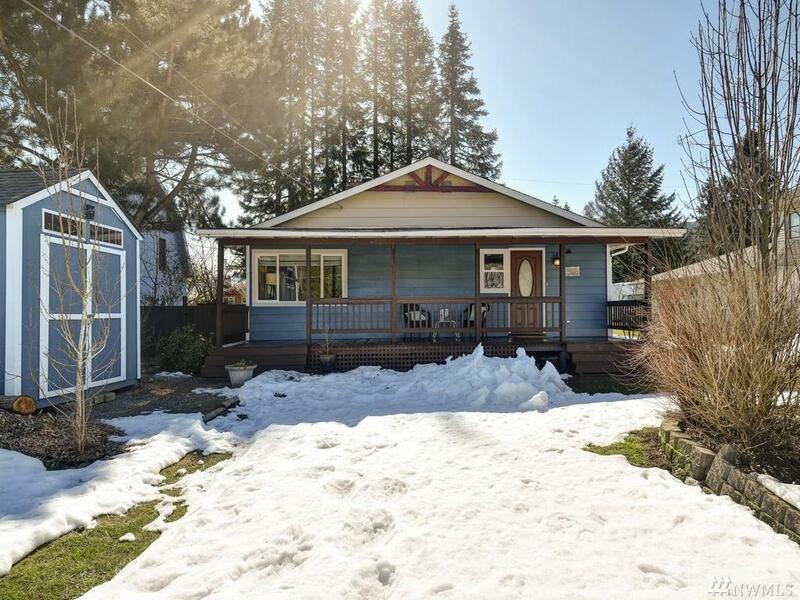 Sweet renovated 1 story home w/covered country porch, private fenced front yard w/old growth trees & Mt. Si views. Spacious light filled living room w/wood burning fireplace surrounded by stone & wood accents adjoins darling kitchen. 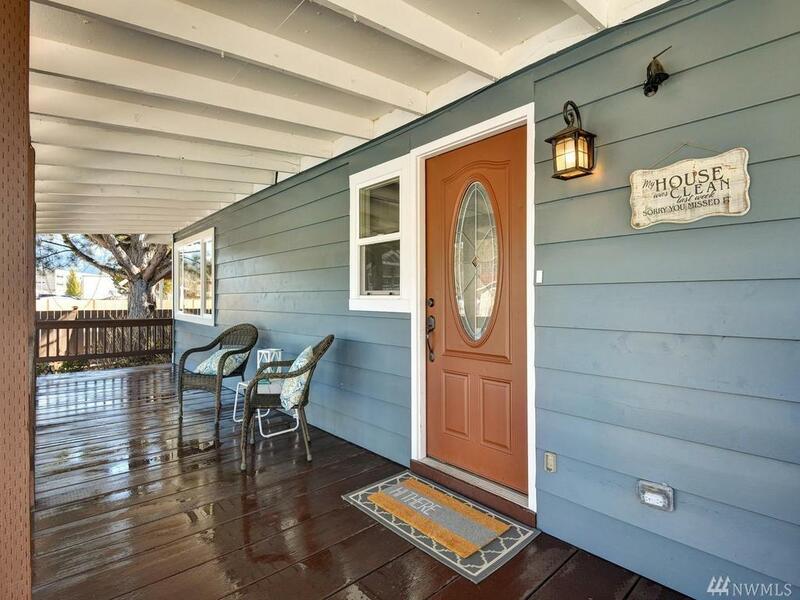 3 bedrooms + den/office w/fireplace & French doors leads to sunny deck. Crown molding, new flooring & paint throughout. 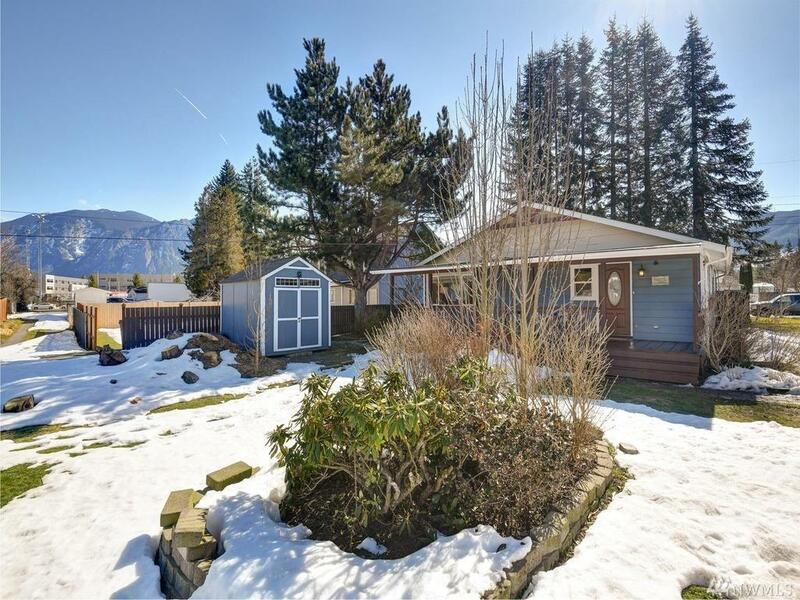 Great location in the heart of town~walk to shops, restaurants, parks, high school.